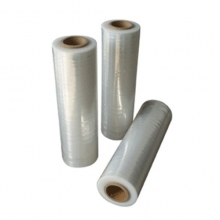 Pallet Wrap & Stretch Film There are 6 products. 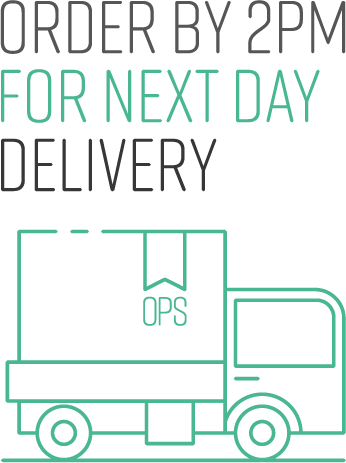 5% Stretch wrap discountBlack pallet wrap is excellent for industrial packaging where you need strength and security for a pallet load of contents. Ours is great quality and PIFA approved. 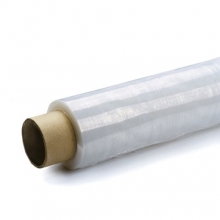 We’ve also got clear pallet wrap that is ideal for use in deep freeze conditions. Order extended core pallet wrap for a better hold when you’re wrapping – it has extra long inner cardboard core, giving you a good grip when working by hand. Looking for a pallet wrap dispenser? We supply a range of those too – like our handy mini sizes for smaller packing jobs, or when you’re working in confined spaces. There’s also the stretch wrap hand dispenser for widths of up to 500mm, which is suitable for both blown or cast film stretch wraps. Dispensers allow you to create a much tighter wrap than is achievable by hand, which also means you save money by not having to add an extra few layers. Stretch wrap gives great protection against dust and moisture and keeps the contents safely protected. Choose the clear version and you can even read the barcodes hidden inside the packages, which is an invaluable timesaver. So when you’re looking for great value pallet wrap and stretch film, you’ve come to the right place. Fantastic value, a great range, and just like our film, we’ll stretch to accommodate whatever size and shape of order you require. 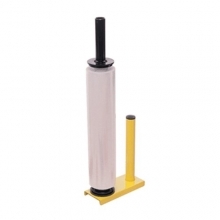 These pallet wrap mini dispensers help make your wrapping process safer and more efficient. 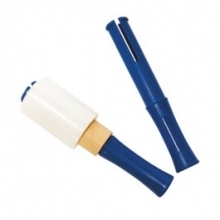 Using a good dispenser, with the correct tension setting, ensures you produce a good quality shipment. Read the full product description. 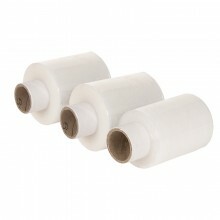 Using a good stretch wrap dispenser, with the correct tension setting, ensures you produce a good quality shipment. These dispensers help make your wrapping process safer and more efficient. Read the full product description. 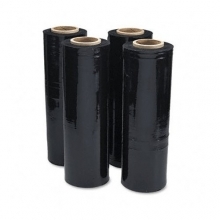 This is PIFA Approved black pallet wrap, guaranteeing quality. Puncture resistant, it's a best seller and manufactured in the UK. 500mm x 250m x 25mu Read the full product description. 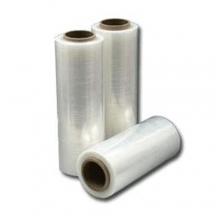 Sold per roll the quality of our CAST FILM pallet wrap ensures a smooth surface, enabling the film to cling to itself without the use of additives. Read the full product description. Pallet wrap with an extended inner cardboard core to make wrapping easier. Available in 300m lengths. Read the full product description. Small scale wrap that will keep packages free from dust and moisture. Ideal for deep freezer storage or for any wrapping in confined areas. Pack of 10. Read the full product description.